Problem. Make a beta version of a website for car enthusiasts. 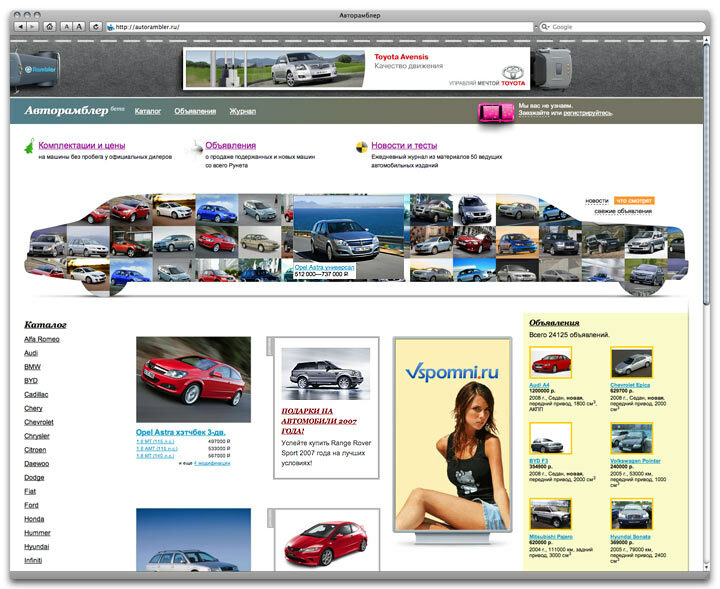 Autorambler is meant to become every Russian car lovers home page. The best thing about the site is that it features an incredibly extensive, carefully composed catalog of cars with the most detailed specifications and fine photographs. Autorambler Journal section provides a collection of auto-related news and articles appearing online. And those looking for a vehicle to buy, can just set their search criteria in the relevant section and browse the ads published on all Russian (and a couple of German) websites.